House Season 5 DVD cover and Menu. Sorry if this is a re-post, but I didn't see it posted here, so I figured I will! I'm so excited!! Man, I was almost DEAD certain that this one would be purple...maybe susunod season.... Wallpaper and background images in the House M.D. 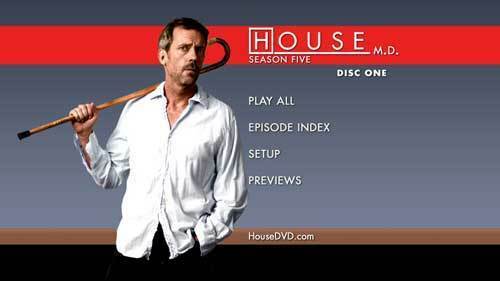 club tagged: house md season 5 dvd cover and menu. Does anyone know what the previews are. are they like the promo for the eppi or another way of saying bonus features. Previews for other shows, and the next season of House...stuff like that.